Charm everyone with the exciting print that this Gorgeous Grace Navy Blue Poly Crepe Short Tunic for Everyday Wear comes with. 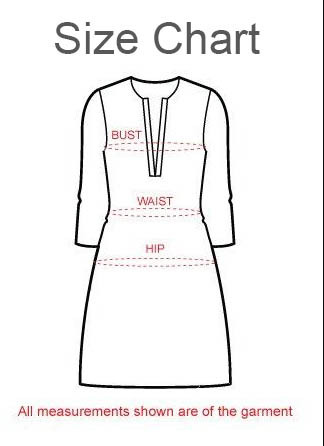 This piece from Snehal Creations has a ban collared buttoned neckline with grey buttons. Short sleeves make it a perfect everyday wear. The tunic is round edged at bottom.